Happy Wednesday everyone! 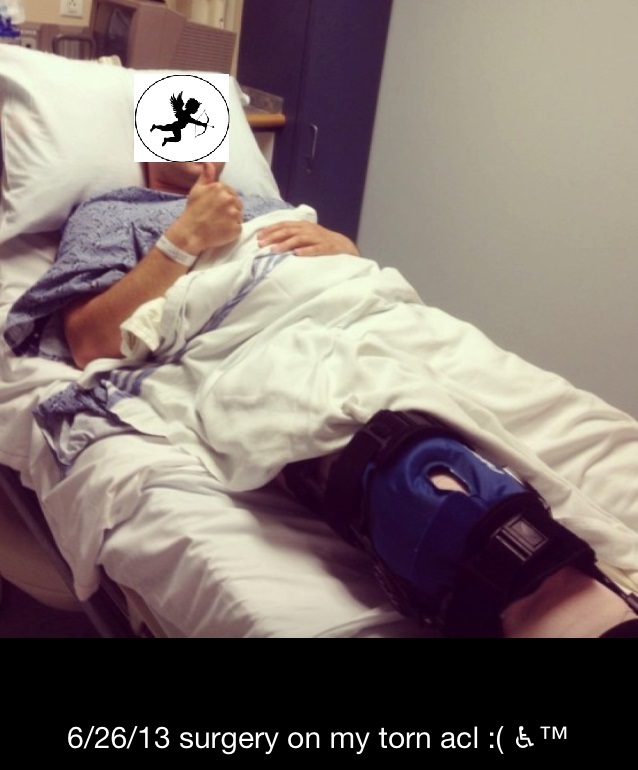 This week’s installment of absurd profile pics comes to you from a hospital bed. Because nothing says “Date Me!” like a sturdy, blue cotton johnny. If you’re going to use this on your dating profile, at the very least you should tell me how you tore your ACL. Were you rescuing a baby from a burning building? Trouble navigating the cobblestones while drunkenly barhopping in Faneuil? Heli-skiing? Another casualty of a winter manbrella? I mean, give me something interesting to work with here. Because white bed linens, a thumbs up, and a giant knee brace do not a good picture make. I’ll give it to him though, that wheelchair emoji KILLS me.